It is surprising to many that Cake Poker was just launched in 2006 as the site has grown to massive proportions over the past few years. The online poker site started out on their own but in recent years they have added more poker rooms to their Cake Poker network. The network recently announced the addition three more sites to their poker network. The Cake Poker network has branched out from poker to offer casino and sports betting sites a network as well. This allowed Juicy Stakes, BeteXpress and Kakuy Poker the ability to operate on the same network. Juicy Stakes is an online casino that did not offer poker but now that they have partnered with Cake they can offer their customers a poker option. BeteXpress is an online bookmaker in Europe and they offer many sports betting options. Kakuy Poker is a poker site based in South America. 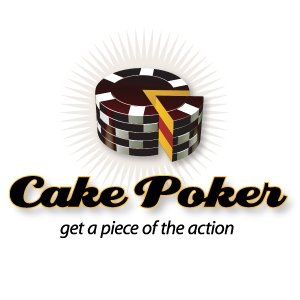 The Cake Poker Network is continuing to grow as they add various gaming sites on a constant basis. Many sites, including online poker rooms, have changed to the Cake Poker network from networks they have been involved with for many years just to experience what Cake Poker has to offer. Doyles Room, PokerHost, Lock Poker and Only Poker are just a few on the Cake Poker network. According to poker research websites, the Cake Poker Network is the tenth largest online poker network in the industry. With the new additions the poker network has over 68 poker rooms, casino and sports betting sites operating on their network. The Cake Poker Network also has made changes as well. The site has changed their rewards program to give players even more rewards than ever before. The site changed their Gold Stacks programs to have over fifty levels and players can earn a piece of over $500,000 in instant cash, bonuses and tournament play.